Logan Services is the #1 residental Trane dealer in the state of Ohio! The Trane Comfort Specialist™ designation means a dealer has met Trane's highest standards and is committed to being the best in installation, service, employee training and customer satisfaction. Our company has earned the Elite Diamond Contractor status as a residential dealer of Mitsubishi Electric ductless cooling and heating systems. Logan Services has achieved an exceptional level of training, expertise, and customer satisfaction, which identifies our team as experts of Mitsubishi Electric's wide range of products and services. The BBB helps people find and recommend businesses, brands, and charities they can trust. Logan Services has a great standing with the Dayton, Cincinnati and Columbus area Better Business Bureaus, and has held an A+ rating for many consecutive years. For the EIGHTH year in a row, Logan Services has won the 2018 Super Service Award. This reflects many exemplary years of customer service to members of the local services marketplace and consumer review site. 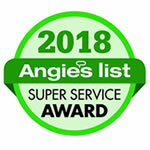 Angie’s List Super Service Award winners have met strict eligibility requirements, which include an “A” rating in overall grade. 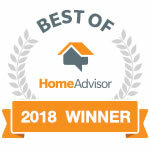 The Best Of Home Advisor Award means that homeowners have voted Logan Services as the 'best of the best' pros on Home Advisor! In addition, our team has also received the Elite Service Professional Award, which is won for superior customer service and the Top Rated Award, which is won for an overall top rating by our customers. Hundreds of Dayton Magazine readers and the general public have voted on their favorite places to eat, shop, and have fun in Dayton, and Logan Services is proud to be named the best heating and air conditioning company in Dayton in 2016, 2017 AND 2018. 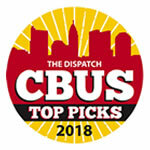 The Columbus Dispatch launched the CBUS Top Picks contest in 2016. In this "Best of Columbus"-style campaign, central Ohioans have the opportunity to make their voices heard and vote for their favorites in 115 categories. Logan Services is proud to have received the honor of the 'Top Pick' by consumers for Heating and Air Conditioning for three consecutive years: 2016, 2017 and 2018! The NEWS' annual “Best Contractor to Work For” contest recognizes four contractors in the U.S. for their efforts in making their workplaces not only areas where customer service is great, but places for employees to thrive and grow and build careers. The NEWS HVACR named Logan Services the Best Contractor To Work For in 2013. Logan Services is proud to accept the 2016 Trane S.O.A.R. Award, a prestigious recognition given to only one Trane Comfort Specialist each year. Trane believes that Logan Services rises above the competition when it comes to customer satisfaction and dedication to the community. Logan Services was also the recipient of this award in 2008. A NATE certification verifies a technician is the best in the trade when it comes to knowledge and experience servicing your home heating or cooling system. The large majority of Logan Services technicians are NATE Certified. As our Service Department grows, new techs are regularly trained and given the opportunity to become NATE Certified.